Isn't this just the sweetest? 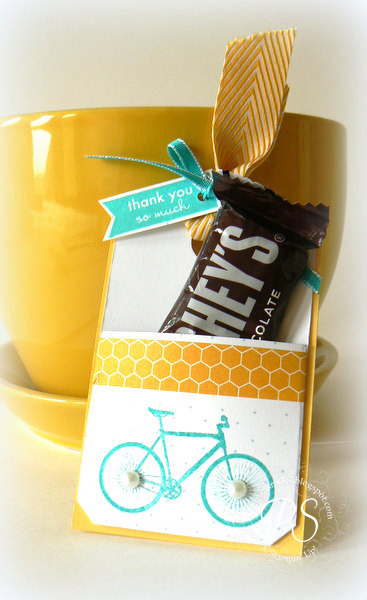 What a way to give a little chocolate and say thank you at the same time. Besides being a bit of a copy cat from Becky Roberts.... love her, it's also part of this month's My Paper Pumpkin. 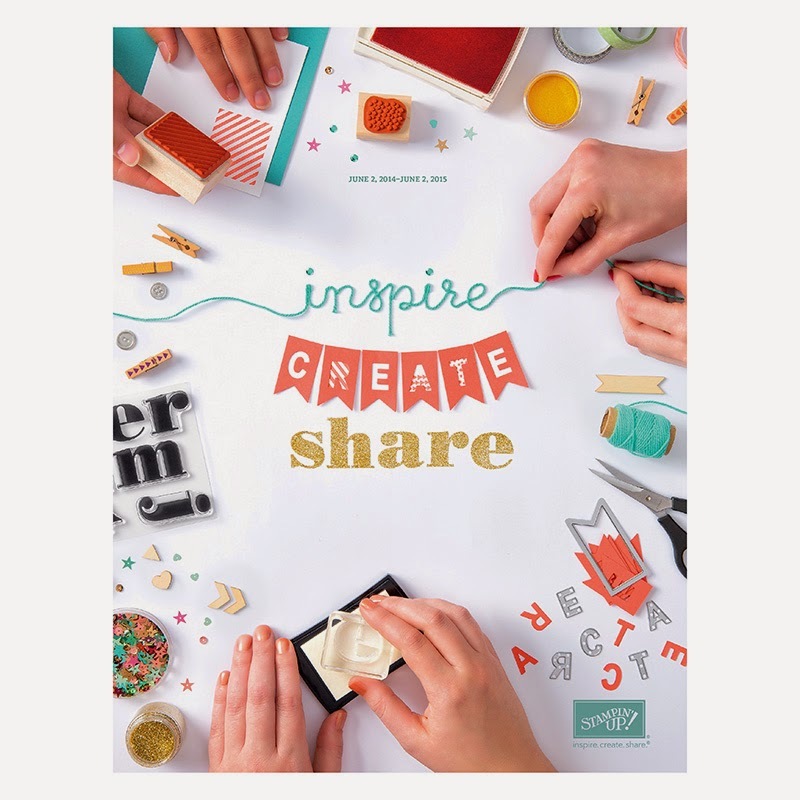 You know, that marvelous creative get-away that arrives in your mail box once a month and allows you a fun escape into paper, stamps and ink. Check out the $10 promo below! Each month it's a surprise and this is what we received this month. 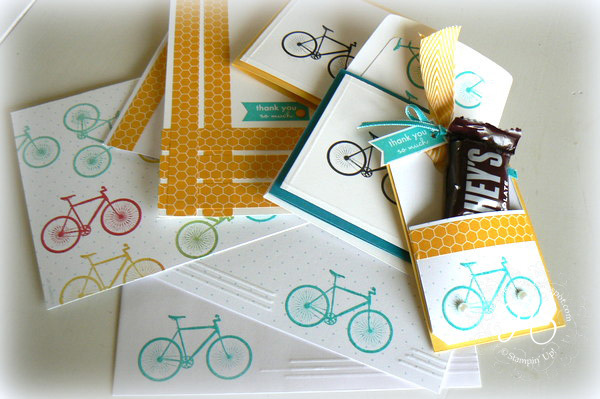 There are always a few new stamps, (cute, cute bicycle! ), a couple of ink spots, directions and supplies for four or so cards (complete with envelopes) or a fun home décor project. I take that fun box of goodies and create five projects I think you'll love! 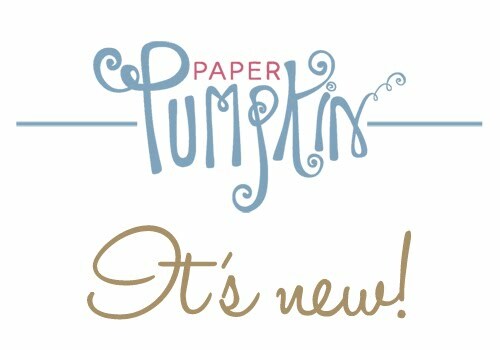 Each of My Paper Pumpkin customers receive that tutorial for FREE along with a little bag of bling that let them create those same projects. So, are you ready to get started? 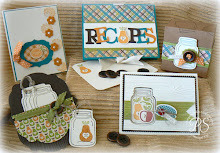 Just click here to access mypaperpumkpin.com and choose me, Penny Smiley, as your demonstrator when prompted. I'll have your tutorial on it's way in no time at all. That is the cutest chocolate holder yet! 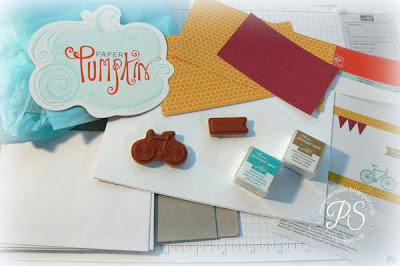 I love this month's Paper Pumpkin bicycle and it's perfect for that little pouch. Way to think out of the box Penny! Super cute!! Love the projects Penny! You are so talented. Thank you, Lynne. 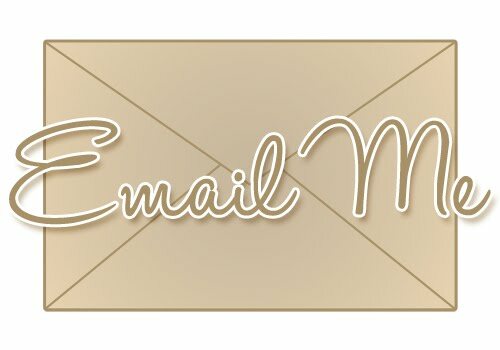 Your goodies are in the mail! And, Becky, thanks for the idea! You're the best!